Fish on a Monday!? Yes, please. I think Fish Friday has more of a ring to it!! Don’t you? Are you looking for a tasty fish recipe? 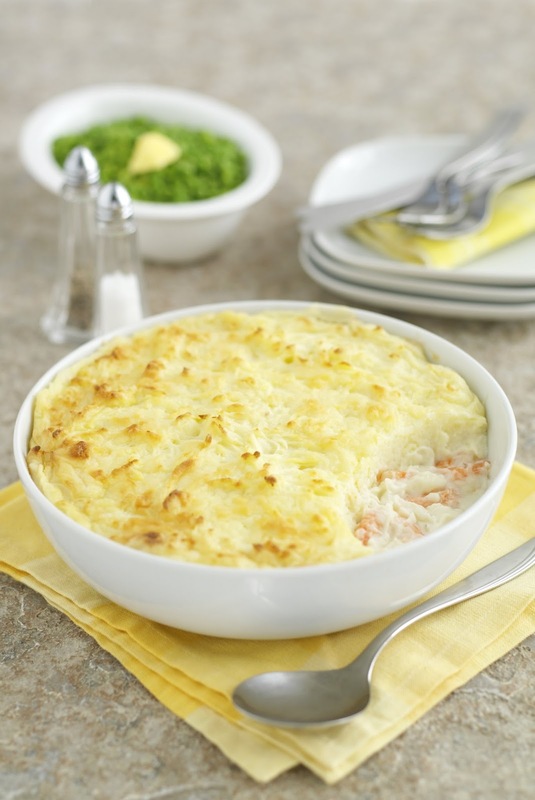 This fish pie combines cod, salmon and prawns in a creamy béchamel sauce made using yogurt. Pre-heat the oven to 180°C/350°F/Gas Mark 5 and grease a suitable ovenproof dish. Using the milk for the sauce, add to a shallow saucepan and poach the fish, cook both sides for approximately 2 minutes. Drain and reserve the milk. Take another pan and melt the butter, add the flour to make a paste. Gradually add the reserved milk, constantly stirring to make a smooth sauce. Add the yogurt and seasoning. Place the cooked fish into the serving dish together with the prawns. Pour over the white sauce. Top the pie with the creamy mash potato. Cook for 40-50 minutes until the top is golden brown. Why not try adding a little more yogurt to the mashed potato, it makes it creamy and tasty. Fancy making this fish pie up? Why not try today or plan to make up for Fish Friday!? If you have children and are looking to add more fish into their diets, I bet they would love this recipe? Let me know your thought below in the comment box if you get to try out this recipe. Don’t forget to follow along. "Cherry and Nut Granola Treat: #SwearbyIt Recipe Challenge…."